After almost a week of uninspired menus and several days that were Festival of Leftovers, finally, a decent meal. 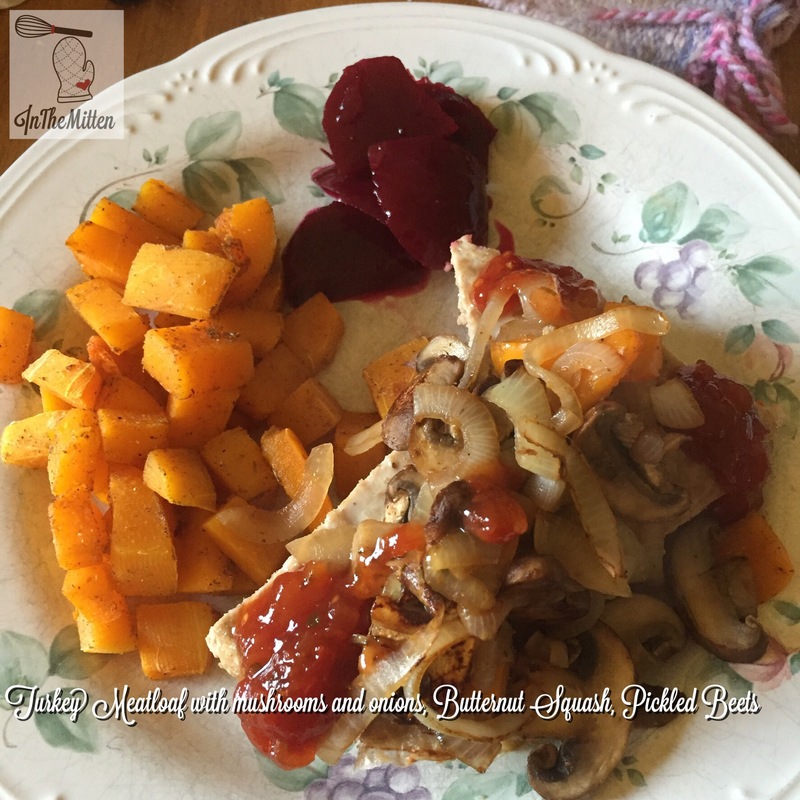 Turkey meatloaf topped with sautéed onion, mushrooms and peppers, roasted butternut squash, and homemade pickled beets. Tomato jam added to meatloaf at the table.